Anita isn’t a fan of curry. That’s why I made these brown sugar curry wings for my lunch while she was at work. Score for me, because I loved the combination of sweetness and the curry. These wings need no sauce. I went ahead and made a big batch of the spice mix in anticipation of making brown sugar curry wings a few days in a row. It’s a good thing that I did because I did end up having them a few times in one week. Don’t judge me. What would I change about these brown sugar curry wings? Yeah, nothing. Ok, maybe I’d add a bit more curry. That’s it. No sauce required, so brine, no nothing. Just cook up some wings (I deep fried mine) and sprinkle with the mix. And devour. Buffalo Wild Wings makes a crazy good Thai curry wing sauce. You can find my copycat of their sauce here. If you love the flavor of curry also try my homemade curry Shake’N Bake mix. Toss wings with the baking powder and salt. Combine brown sugar and curry powder. Get out all of the lumps. When wings are done, and while they are still hot, toss with seasoning mix and serve. 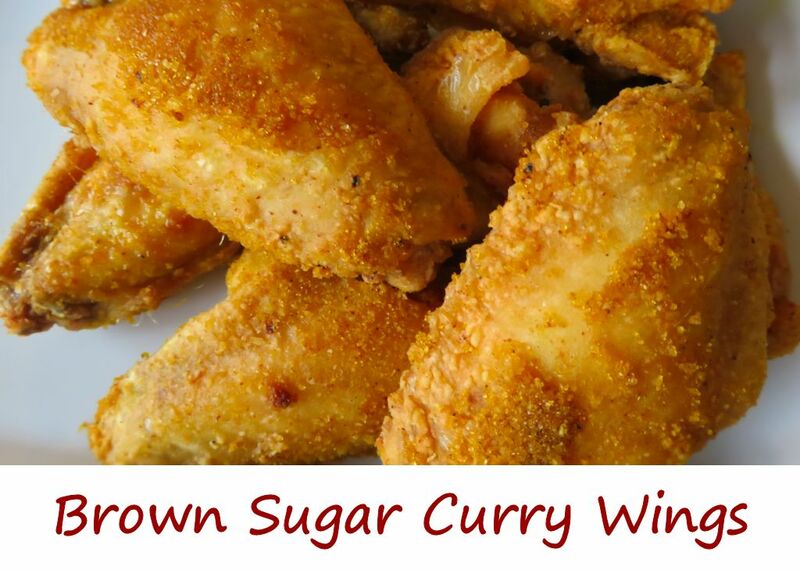 This entry was posted in Chicken Wings and tagged Brown Sugar Curry Wings, curry chicken wings, Curry Wings, recipe by Mike. Bookmark the permalink.